For regular followers of our social media output, you’ll know that we here at Siren Diving Lembongan love our ocean critters. Large or small, cute or not so pretty, we love them all with a passion. Yes, we love our fish and manta rays too, but there’s a certain charm to our hard shelled and brightly coloured aquatic buddies. 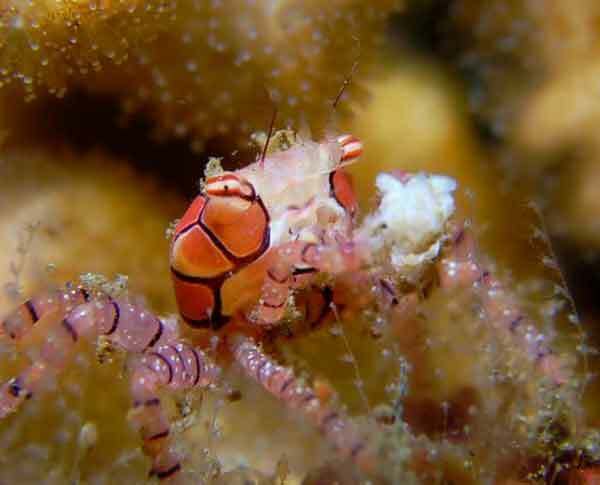 Read on for a look at some of the crustacea you can find around our Nusa islands. What makes something a crab? If you ask a diver, what is a crab? You’ll probably get an answer along the lines of, “round shell, probably red with a pair of pincers at the front”. To be fair, thats not a bad answer although a little unscientific. 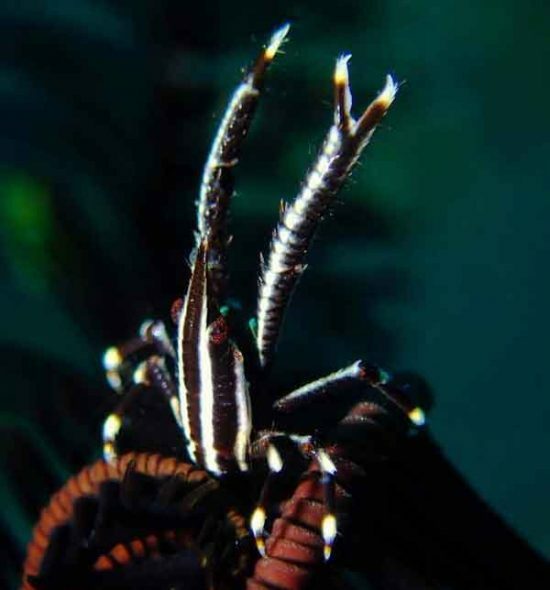 Marine arthropods are members of the subclass crustacea. 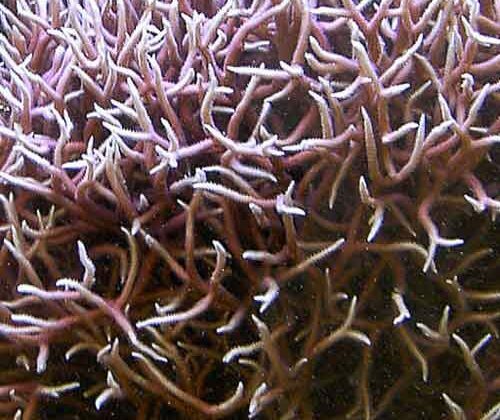 Further, most reef dwelling species are categorised in the class Malacostraca (from the Greek “soft shell”, which is kind of misleading as the shell is only soft after moulting). Members of the Malacostraca class include crabs, lobsters, crayfish, shrimp, krill, woodlice, mantis shrimp and amphipods. 3 pairs of legs or 4? All members of this class have three distinct body parts; the head, the thorax and the abdomen. The first two parts, the head and thorax, are typically fused and are covered by a carapace (or dorsal shell if you prefer). Members of the largest group of crustaceans are distinguished by having five pairs of legs. Because of this they are members of the order Decapoda. The first pair, or sometimes two pairs, have evolved into pincers for defence or feeding the animal with the rest used for mobility. 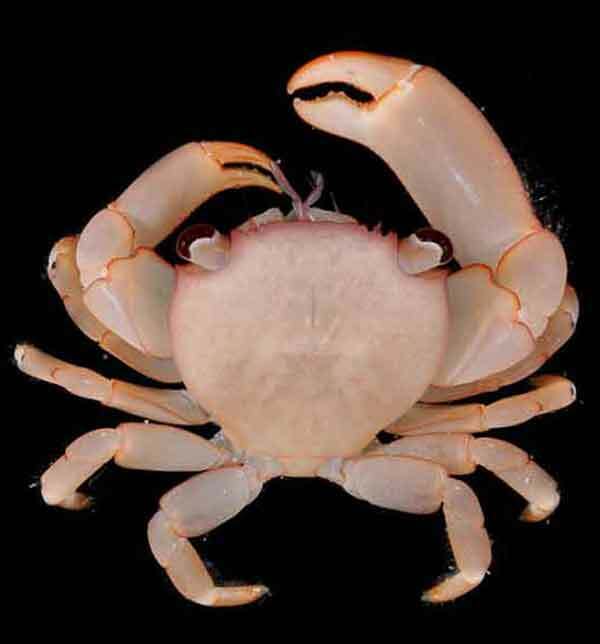 In the images below you can see a tetralia crab variant with 4 pairs of legs and a squat lobsters which has 3. So much for the science… why do we love them so much? 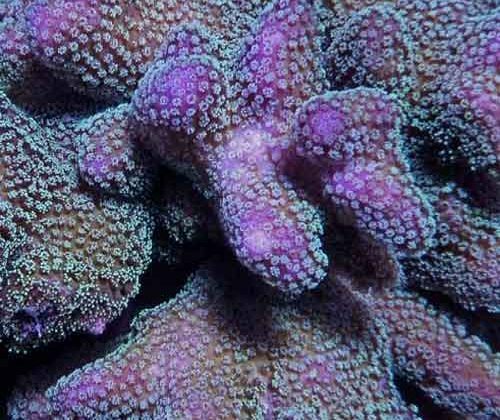 Like a lot of the underwater world, if you float on by without really looking you’ll see lots of life but won’t notice the day to day interactions. Most divers are aware that damselfish, and clown fish in particular, live in or near sea anemones. They seem to provide some protection and housekeeping duties to there chosen home and will try to chase off a diver that gets too close. It turns out that a lot of crabs will do the same thing. Cleaning their chosen coral habitat and defending it from predation. 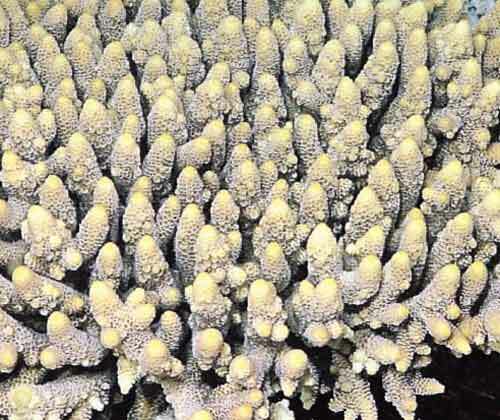 Most coral crabs in the Tetralia and Trapezia species tend to live in Acropora, Pocillopora, Stylophora or Seriatopora corals. 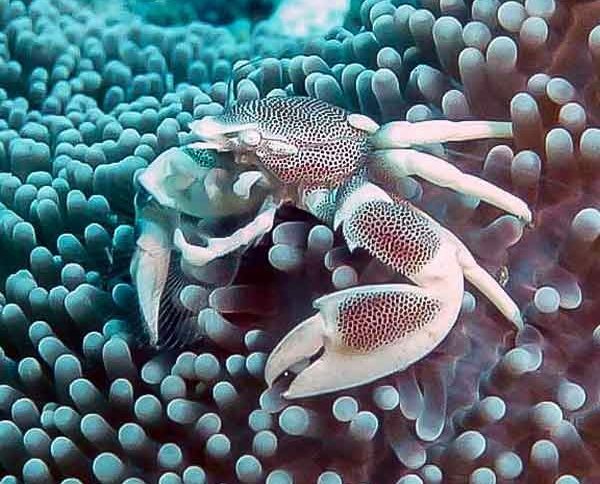 These coral crabs will often prefer one species of coral and will be found living uniquely among that species although rarely in the same coral together. 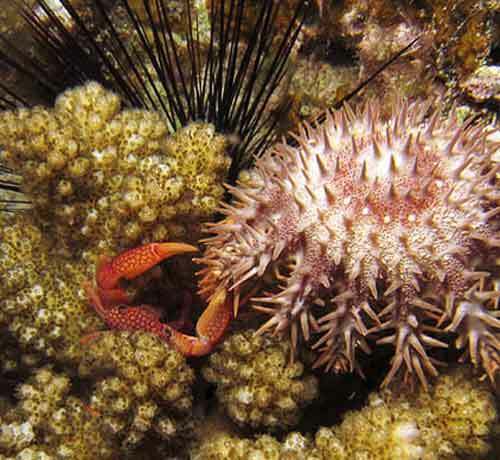 In the picture below, you can see a coral crab, (trapeziidae lutea), living and defending it’s coral home, (pocillopora sp), from a marauding crown of thorns sea star. 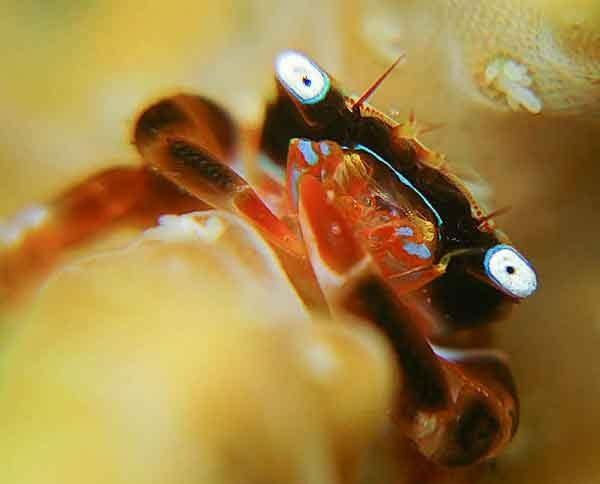 In a similar way to nudibranchs, crabs tend to come in many colours and seem to have their own characters. This makes them very popular with photographers. 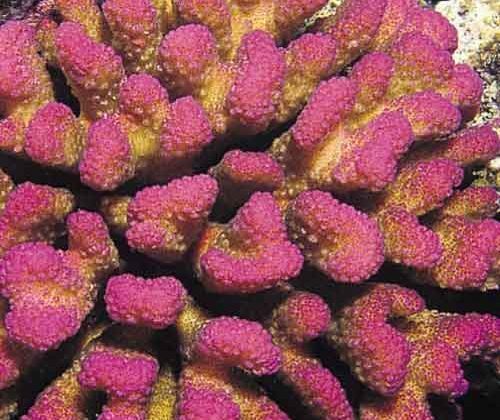 However, hiding inside coral arms and being so small can make them tricky to catch on film. One quite popular harlequin crab has been living in the same spot in Crystal Bay for the last 4 years. Check out the video below by our very own (and very patient) Brooke showing just how cool it is when you can lick your own eyes. As usual, a special thanks to our friends at Wake Up and Dive for their amazing photography and video. Have you heard the Sirens Call?